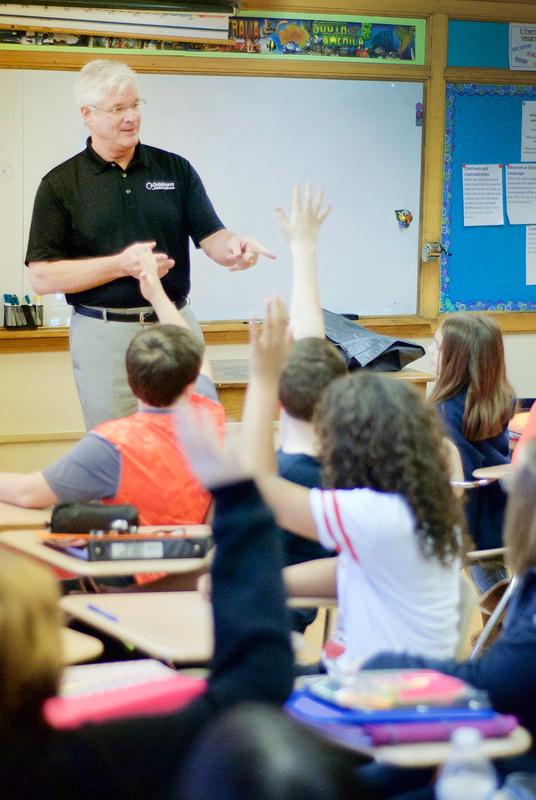 LANSING, Mich. — Sen. Mike Shirkey, R-Clarklake, recently visited a class at Quincy Middle School to share the first hour with students who were eager and engaged. The middle school was the perfect fit not only because March is reading month, but because of one student who met Sen. Shirkey by chance while waiting in line at a local restaurant, which is when he first heard the class was interested in a visit. March is typically the time when schools and leaders focus on reading as a way of learning about the experiences of others in history. That is why the skill of reading was highlighted during Shirkey’s visit. Students were reminded of the truth of their teachers’ statements about the impact of reading. They learned that a reader who reads intently to learn can connect with ideas and people from the past and their lessons that are still applicable today. Enthusiastic students asked a variety of questions about music, government, literature, and more. Shirkey shared some of his favorite books, and he encouraged students to listen attentively both in the classroom and to literature. Photo caption: Sen. Mike Shirkey, R-Clarklake, speaks about the value of reading to Jennifer Longardner’s 6th-grade class at Quincy Middle School. Shirkey spoke to the class in honor of March is Reading Month at the request of one of the students. Note: Click the image for a print-quality version. This photo and others are also available by clicking Photowire, lower left.